Denise Delaney - Index Fund Advisors, Inc.
Advisors ranked using an algorithm designed to fairly compare the business practices of a large group of advisors based on quantitative and qualitative elements. Data are weighted to ensure priorities are given to dynamics such as preferred “best practices”, business models, recent business activity, etc. Each variable is graded and represents a certain value for each measured component. These data are fed into an algorithm that measures thousands of advisors against each other. Ranking is not indicative of future performance. 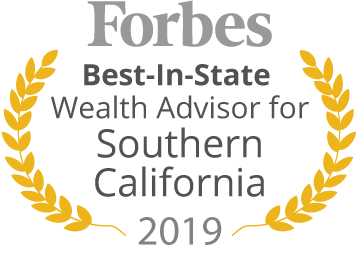 As a Senior Vice President, CFP® and Wealth Advisor with Index Fund Advisors, I understand that each client has a unique approach to how they address their financial needs and goals. Clients also learn about and understand investments differently; their approach to the decision making process also varies. Being a good listener leads to comprehensive discussions with them about all aspects of their financial lives which is paramount to investment success. An enormous library of resources about the benefits associated with a passive investment strategy allows me to help educate clients and their families during our discussions. As a central resource to clients, the confusion and high costs often resulting from working with multiple professionals can potentially be minimized. Clients have come to appreciate this approach, which helps create peace of mind and relaxation. I have a Bachelor's degree in Business Administration from the University of Phoenix and earned the Certified Financial Planner (CFP®) accreditation in 1995. As a supporter and volunteer for the Boys & Girls Clubs of America for over 20 years, I offer investment education workshops to the club’s kids and offer portfolio management for individual club endowments. Providing a client with knowledge of how financial markets work and the data supporting the investment approach helps bring discipline to the overall investment plan. Through the use of charts, history, videos, articles, and calculators, I can help bring clarity to my clients on how to approach their financial future. Each stage of life is unique. As a result, late life planning needs to extend beyond basic retirement and financial planning and address the unique concerns investors face later in their lives. As lifestyle needs change, individuals should re-evaluate assets, income, and funding options to help make sure their needs will be met comfortably. Now more than ever, retirement plans are in need of a fiduciary. Helping plan sponsors and plan participants create and maintain a plan that is cost effective, easy to administer, and built on a foundation of investment science and industry best practices will help accomplish the overall goal of the plan: retirement readiness.